Explore hidden gems such as Uncle Tom's Trail and Mud Volcano. 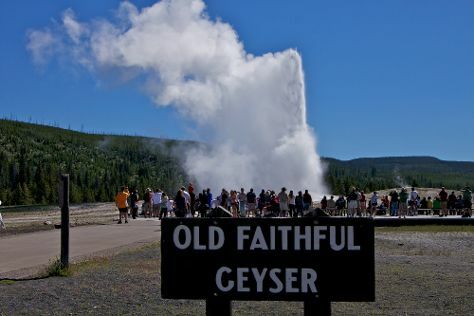 Get in touch with nature at Old Faithful Visitor Education Center and River Rafting & Tubing. And it doesn't end there: witness a stunning natural landmark at Grand Prismatic Spring, take in breathtaking views at Grand Canyon of the Yellowstone, look for all kinds of wild species at Hayden Valley, and admire all the interesting features of Lamar Valley. For more things to do, ratings, reviews, and more tourist information, read Yellowstone National Park route builder tool . Use the Route module to see travel options from your home to Yellowstone National Park. Expect a daytime high around 53°F in May, and nighttime lows around 27°F. Cap off your sightseeing on the 4th (Tue) early enough to go by car to Moose. Moose is an unincorporated community in Teton County, Wyoming, United States, in the Jackson Hole valley. Explore hidden gems such as String Lake and Menor's Ferry Historical Trail. Step out of the city life by going to Grand Teton and Hidden Falls. There's still lots to do: appreciate the views at Amphitheater Lake, take in breathtaking views at Cascade Canyon, take your sightseeing to a higher altitude at Teton Point Turnout, and explore the striking landscape at Glacier View Turnout. For reviews, other places to visit, ratings, and other tourist information, read our Moose route planning site . Getting from Yellowstone National Park to Moose by car takes about 2 hours. Expect a bit warmer weather when traveling from Yellowstone National Park in June: highs in Moose hover around 72°F, while lows dip to 39°F. 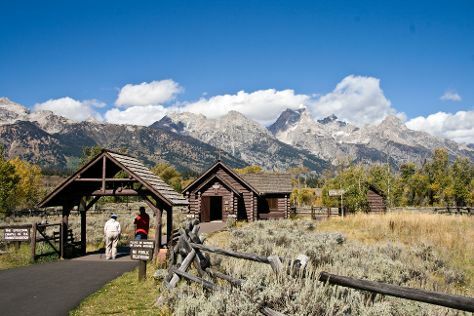 Finish your sightseeing early on the 7th (Fri) so you can travel to Jackson Hole. Start off your visit on the 8th (Sat): head outdoors with Bridger Gondola and then get outside with Wild Things of Wyoming. Get ready for a full day of sightseeing on the 9th (Sun): hike along Teton Pass. To see maps, more things to do, traveler tips, and other tourist information, read our Jackson Hole day trip site . Getting from Moose to Jackson Hole by car takes about an hour. In June in Jackson Hole, expect temperatures between 72°F during the day and 39°F at night. Finish your sightseeing early on the 9th (Sun) so you can drive back home.